Spotted around Williamsport, PA edition. Lots of automotive coolness out tonight. 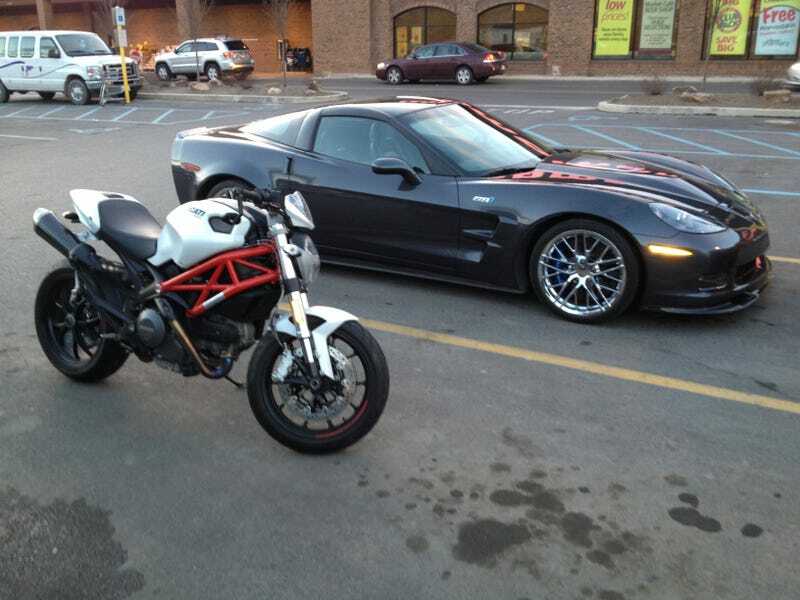 A 67 Scout half cab and a ZR1 next to a Ducati Monster. Pretty unusual to see anything out of the ordinary here, especially off my school campus, so these were a real treat.